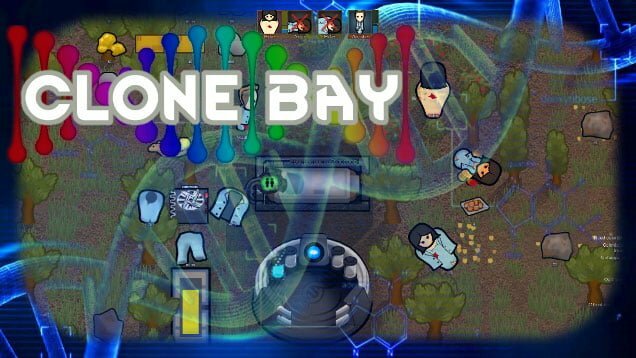 The Clone Bay Mod adds 3 buildings that allow you to revive dead colonists. Supplies ressources to Clone Vat. Transmits data to Clone Vat if in range. Registers up to 4 colonists. Revives a dead colonist with a 3 level penalty in each skill. Bionics are replaced with missing parts. Lost one of those pawns you cared a great deal about? Instead of reloading the game, the Clone Bay Mod comes with an alternative: bring him back to life using a clone! A difficult and actually fun alternative to well, accepting death.